It may only be Autumn but the Gold Coast is heating up! With The Commonwealth Games less than a year away (sqeaaal!! ), there's a whole calendar of events coming up this year to keep you entertained until then. Seriously—there's so much on we had to break it down into seasons! Keep reading if you’re keen for an autumn jam-packed full of the best arts, dance and music events, adrenalin-filled sporting events, and more. Best of all, many of these events are set in the awe-inspiring natural surrounds allowing you to soak up the coastal cool vibe. Feeling like you have an unhealthy dose of FOMO? 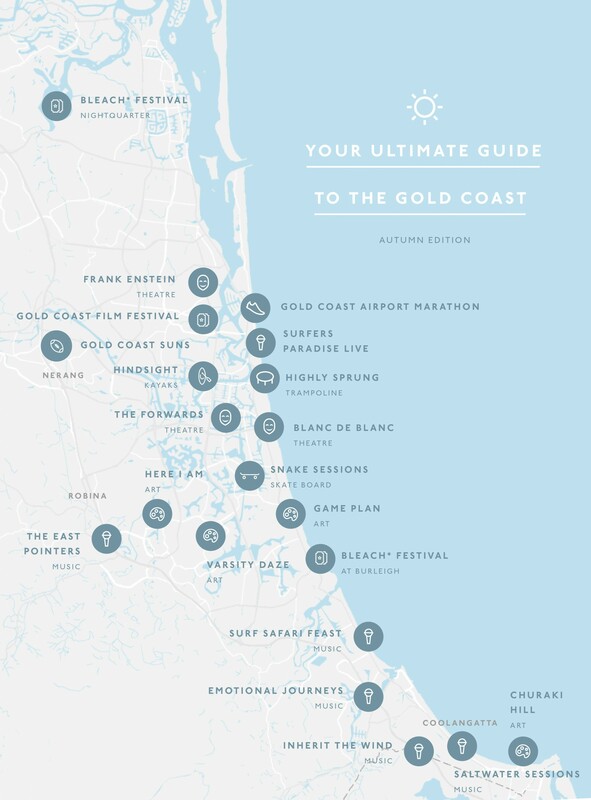 Check out the year-round calendar of Gold Coast events. ICYMI, AFL is kind of a big deal. Especially when the state’s two teams face off, things go from zero to one hundred reaaall fast—so it goes without saying you’re going to want a front row seat to all of the action. The QClash13 is going down at Metricon Stadium and will feature live music, kick-to-kick post game, and a whole heap of fun activities, too. Surfers Paradise LIVE is bringing a hugely diverse range of music genres to the coast, and we couldn't be more excited. The festival will be held over three days (more time = more fun!) and will see Surfers Paradise transform into an oasis of all things music—expect Australia's hottest and most popular bands for FREE! Acts such as The Veronicas, Eskimo Joe, Mental As Anything, and more will be in attendance. As if that wasn't enough fun, the Gold Coast Music Awards will be hosted on the main beach stage on April 27th, before things kick off. There's also going to be a Beach Bar serving up Burleigh Brewing Company and Beenleigh Distillery. For those who are unfamiliar (you’ve been missing out, by the way) Bleach* Festival is the Gold Coast’s annual multi-arts festival that showcases the region’s creativity and culture in the most unique, refreshing way possible. This isn’t the Gold Coast as you’ve seen it before, folks. 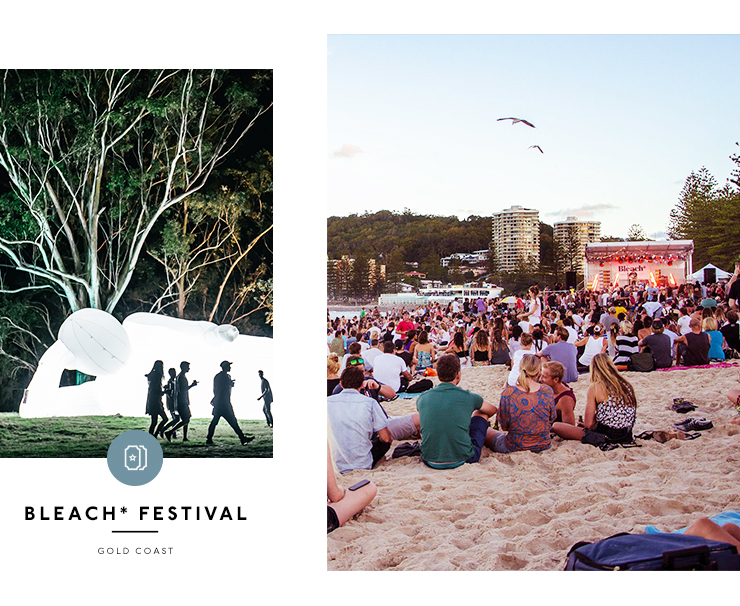 Bleach* Festival uses the coast’s stunning landscapes as the stage for the festival with events like Saltwater Sessions (featuring Matt Corby, no less), Churaki Hill (where the landscape will be lit up with visual art using light displays), and Varsity Daze. Plus, Blanc De Blanc will be popping up for Bleach*, too! It brings with it a classy fusion of vintage glamour, acrobatics, cabaret, champagne and lots of skin. How fun! Where: Various locations, check out their website for more info. Who doesn’t love a film festival? It’s like a Netflix binge in real life! The Gold Coast Film Festival will feature internationally acclaimed dramas, comedies, locally made indie gems, documentaries, anime, and even seriously scary horror flicks. This year's festival is shaping up to be the best yet, if you ask us. Get a behind the scenes look at the festival with the first ever Gold Coast Movie Locations tour that goes for a whopping 3 hours and covers locations featured in over 20 films. There's also a Zoolander Model Boat Party—because the Gold Coast knows whats up—which will be a floating cinema, and, SIPFest: an outdoor cinema on Surfers Paradise Beach. The Gold Coast Airport Marathon is finally back! Get your sneakers out and your stretch on in preparation for the day. There are runs on offer that range from 1-42km, so there’s really no excuse not to join in! 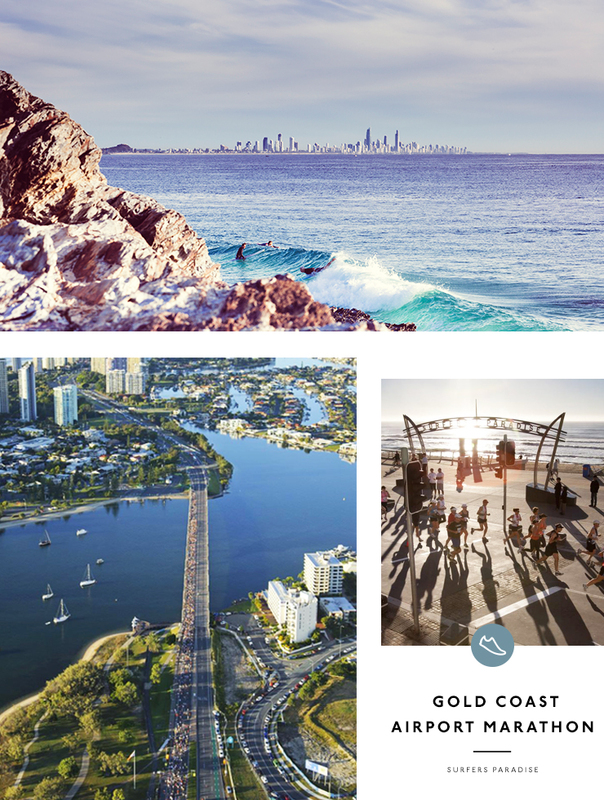 Love the Gold Coast? Click here to find out more fun things to do.